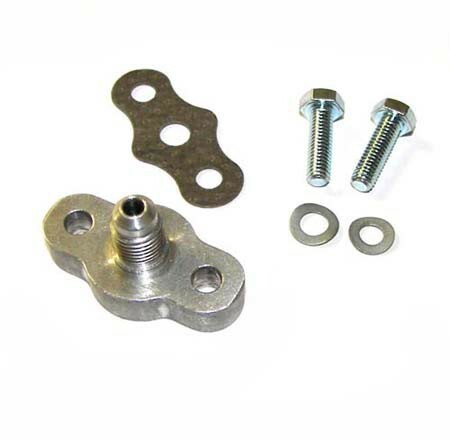 CNC machined aluminum KKK Oil Inlet adaptor flange, also adapts the turbo oil outlet at the oil filter housing on I5 turbo engines. Threaded -4 AN Male fitting connects directly to AN line, includes factory gasket and 6mm fasteners with washers. Price for one flange kit. Note, only fits "water cooled" K26 turbos.